Watch this interactive short teaser of a lecture by Culinary historian Robert Sung. This is a talk in which foodies will take delight. As part of the current exhibition in the Chung Collection room, highlighting historical food menus from the Canadian Pacific Railway (CPR), Sung’s talk highlights the historical period of the menus in Canadian history. 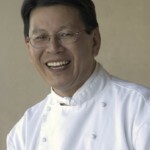 Please visit: http://www.ikebarberlearningcentre.ubc.ca/robertsung to watch this lecture webcast! Experience c̓əsnaʔəm, the city before the city at the Irving K. Barber Learning Centre's exhibition gallery, 2nd floor, 6.00am to 1.00am. In Search of Happiness: Is there a secret to feeling content? May 1st, 2015 by allancho | Comments Off on In Search of Happiness: Is there a secret to feeling content? Posted in Events | Comments Off on In Search of Happiness: Is there a secret to feeling content? Lorraine J. Daston is one of the world’s leading historians of science, is Executive Director of the Max Planck Institute for the History of Science in Berlin and Visiting Professor in the Committee on Social Thought at the University of Chicago. Daston has held visiting or continuing appointments with institutions such as Harvard, Princeton, Brandeis, Göttingen, the Wissenschaftskolleg zu Berlin, and the École des Hautes Études en Sciences Sociales in Paris. She has also held fellowships in the Society of Fellows in the Humanities at Columbia, the Wissenschaftskolleg zu Berlin, Stanford’s Center for Advanced Study in the Behavioral Sciences, the Zentrum für Interdisziplinäre Forschung in Bielefeld, the Guggenheim Foundation, and the Institut des études avancées in Paris. In 2012, Daston was awarded the History of Science Society’s George Sarton Medal, a lifetime achievement award that is given annually to an outstanding historian of science from the international community. 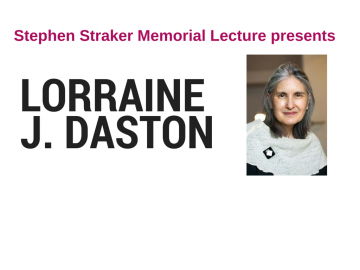 Daston’s Straker Lecture will be drawn from her continuing work on the history of rationality.